If you’re a resident living in the New Tampa area, you are susceptible to the same types of rat infestation that those in Tampa face. 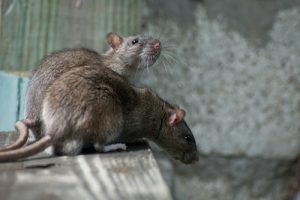 The bustling and ever-growing nature of the Tampa area means that humans and rats are often put near one another, inevitably leading to rat infestations. Making sure that your commercial or residential property is rat-free is critical to protecting your assets and your family’s wellbeing. Catching the problem early is key to preventing extensive damage, and at the first sign of rat activity, you should call for professional help. There are countless DIY methods available that promise to trap nuisance rats quickly, but the only truly effective method is to employ the skills of a true professional. Because of their ability to spread infectious disease, we never recommend attempting to remove rats on your own. If your home or business has come under attack by rats, the team of professionals at Critter Control® of Tampa is here to help. Our exclusive four-step removal process not only ensures that the rats are gone for good, but that any damage they inflicted is repaired as well. Call us today at 813.948.0870 with any questions, or to schedule a consultation.